Please fill out the form below and someone will contact you within 48 hours. We appreciate you taking the time to let us know how your experience was with your family. Keep in mind you will soon be able to place online orders for our various menu items for delivery or pickup from anywhere on your phone or computer. 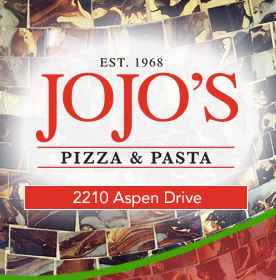 Thanks for visiting JoJo's Pizza, come back soon!